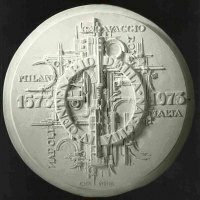 Cattaneo became interested in the art of medals in the early Seventies. 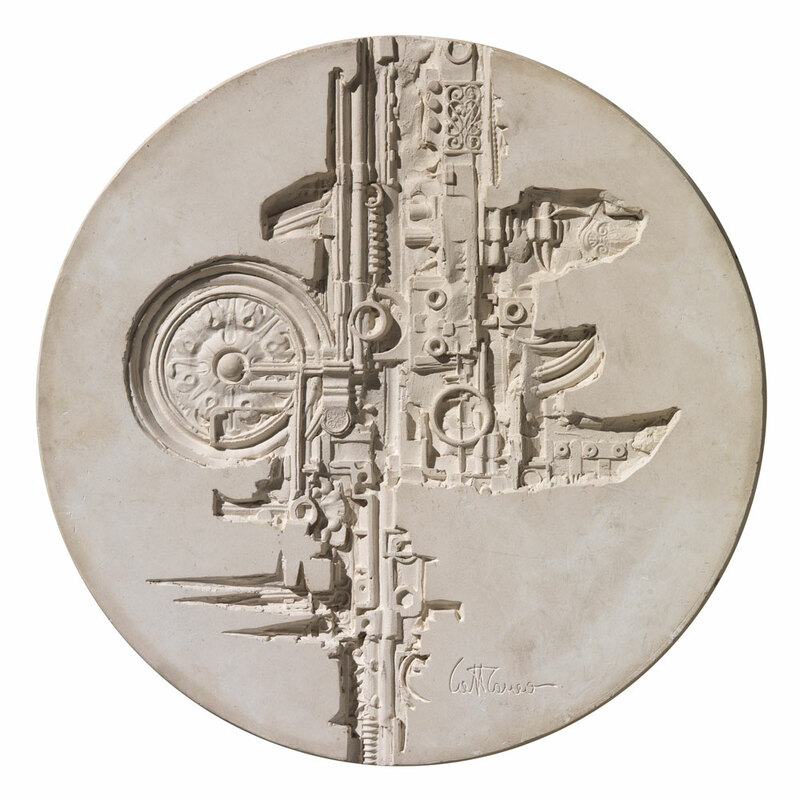 His work immediately stood out for its originality and compositional sophistication, combining the required message of portraiture – marked by an incisive and detailed physiognomic interpretation – with powerfully evocative compositions entrusted to his stylistic language. 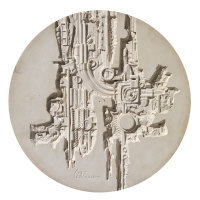 The small size of this type of work did not limit the artist’s creativity or innovativeness and, if anything, it constantly stimulated him to seek new and daring compositional solutions. 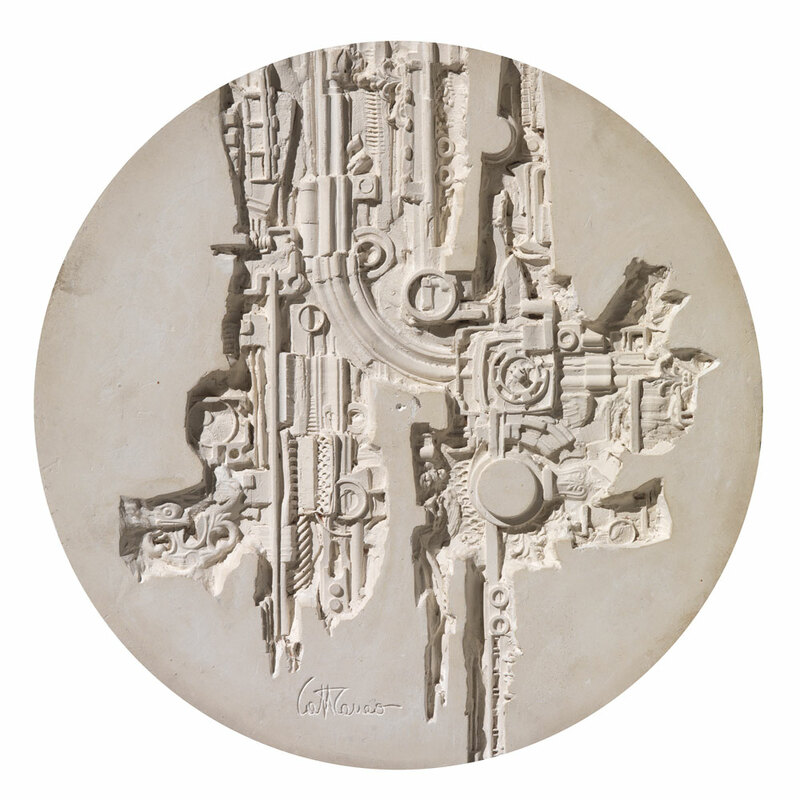 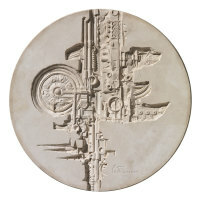 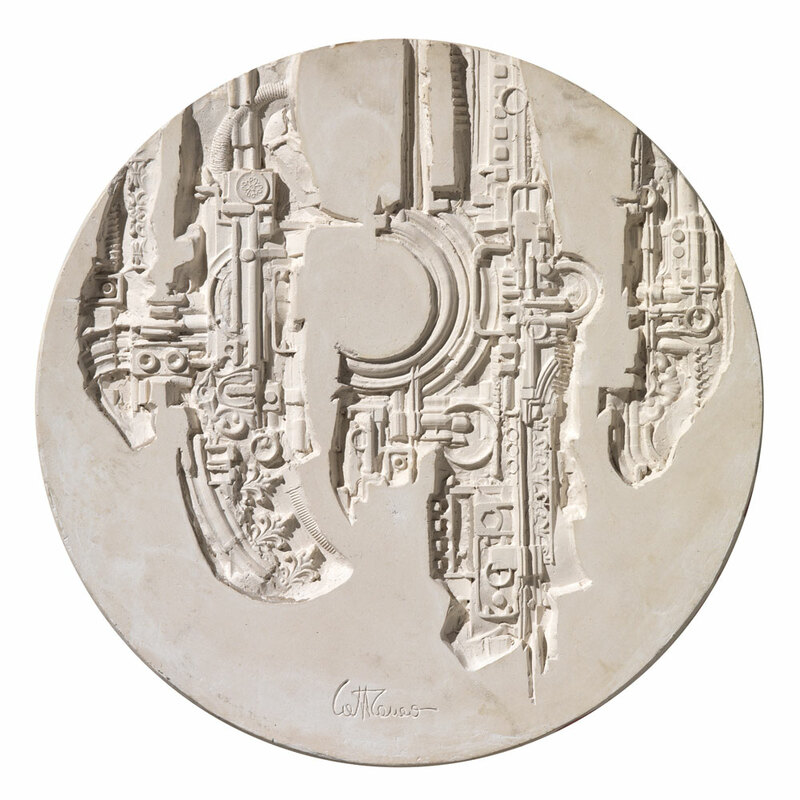 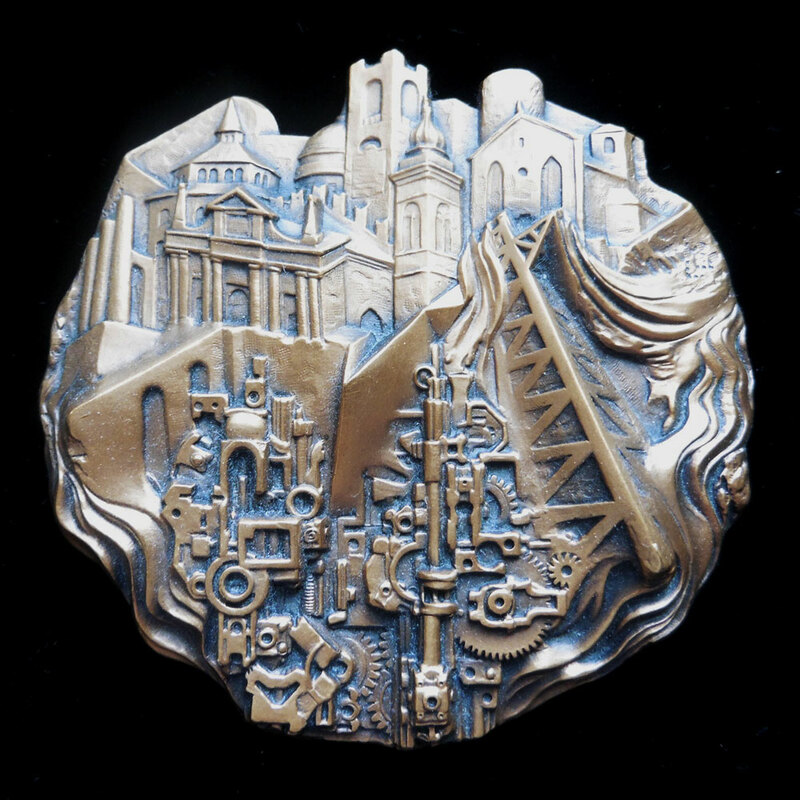 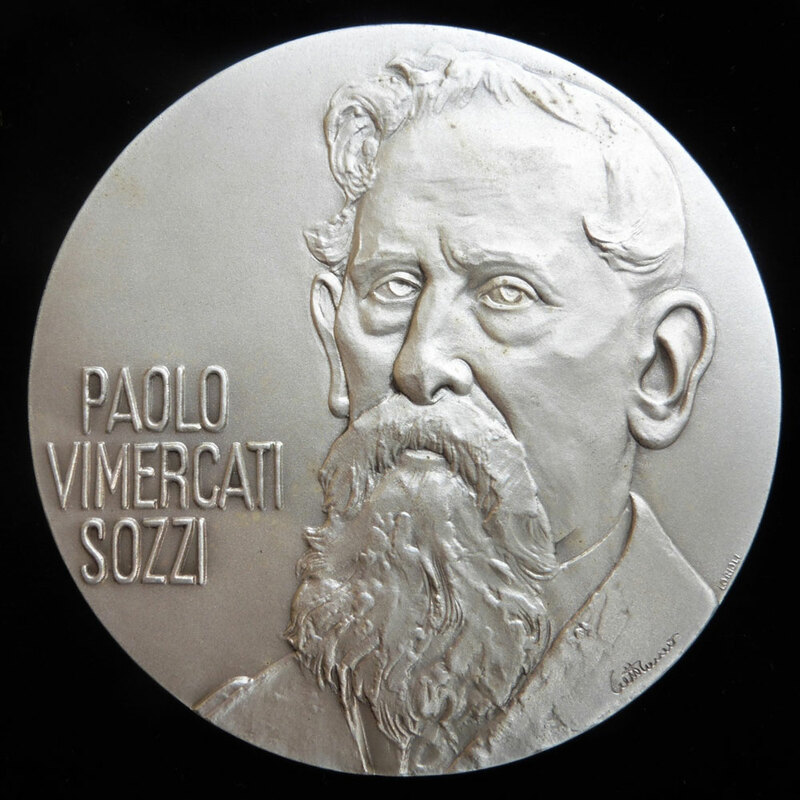 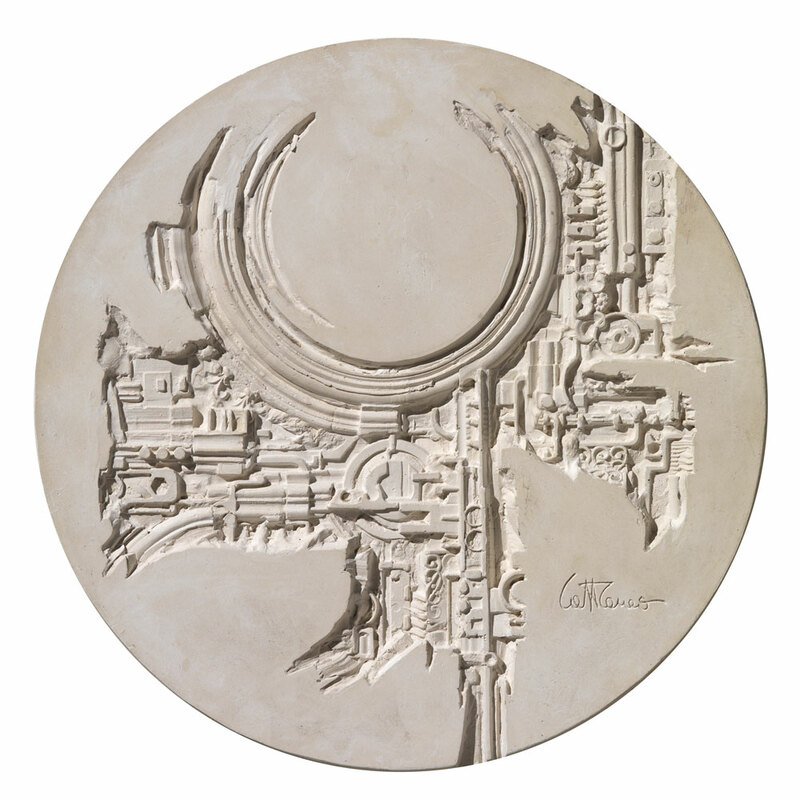 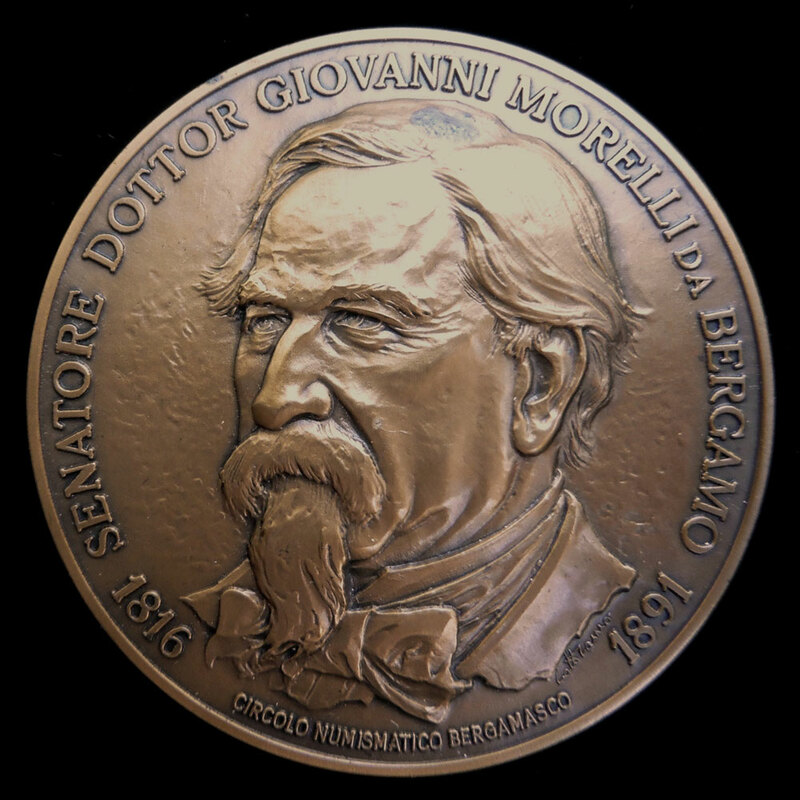 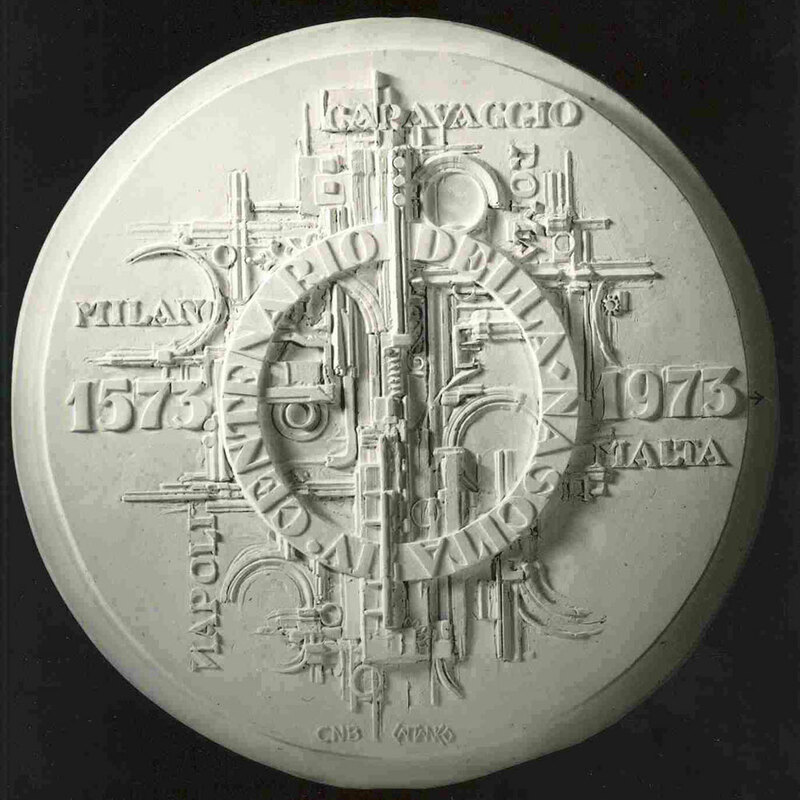 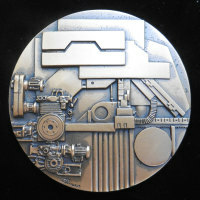 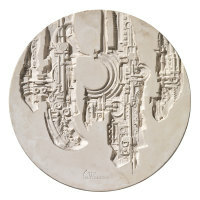 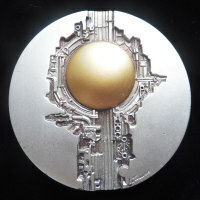 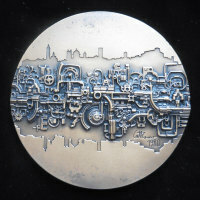 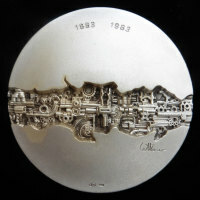 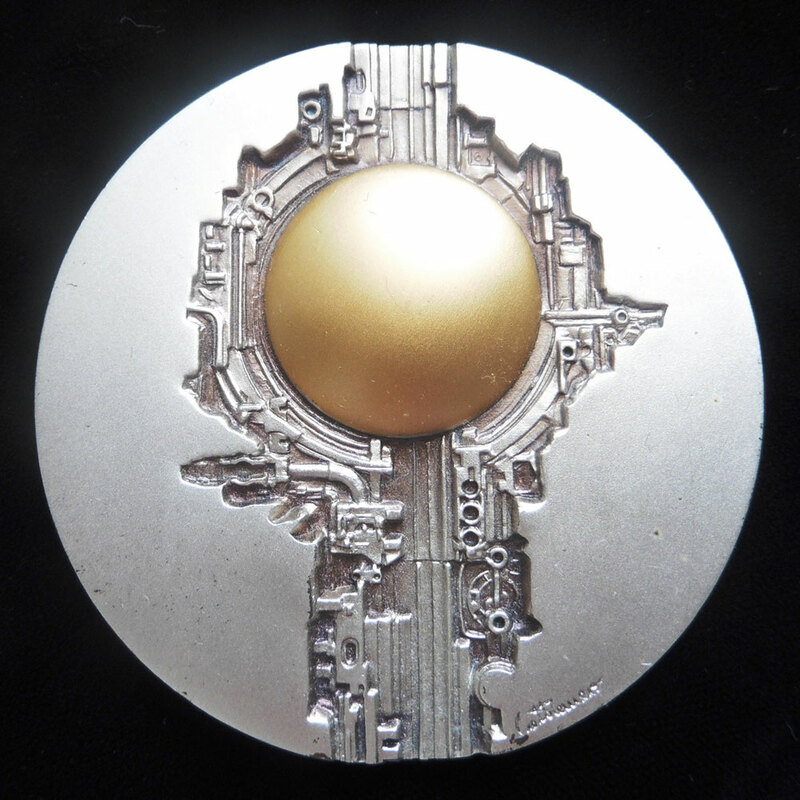 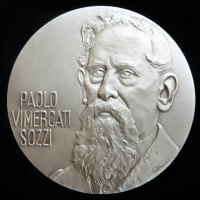 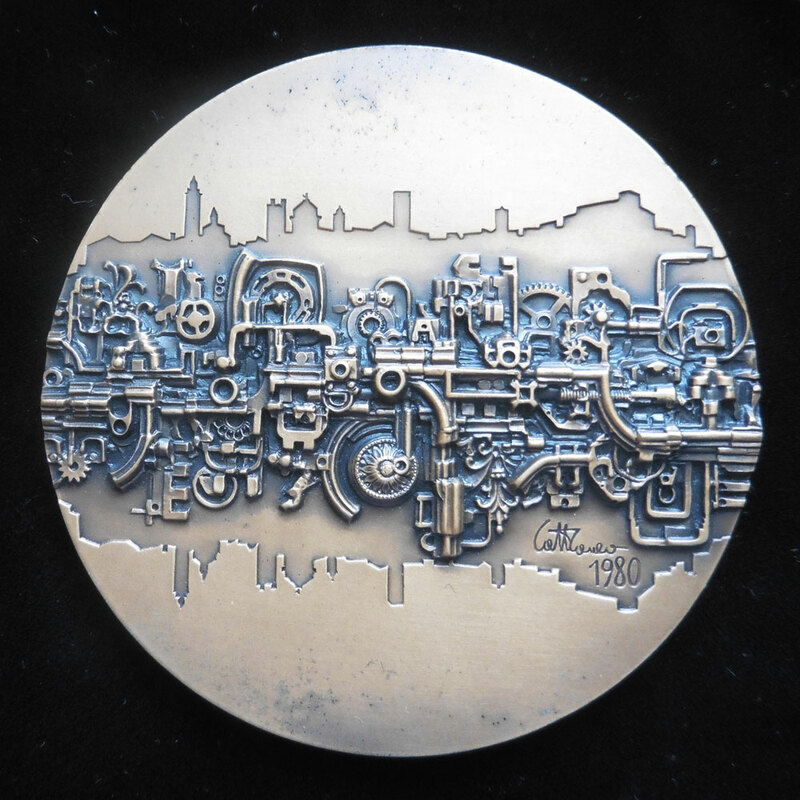 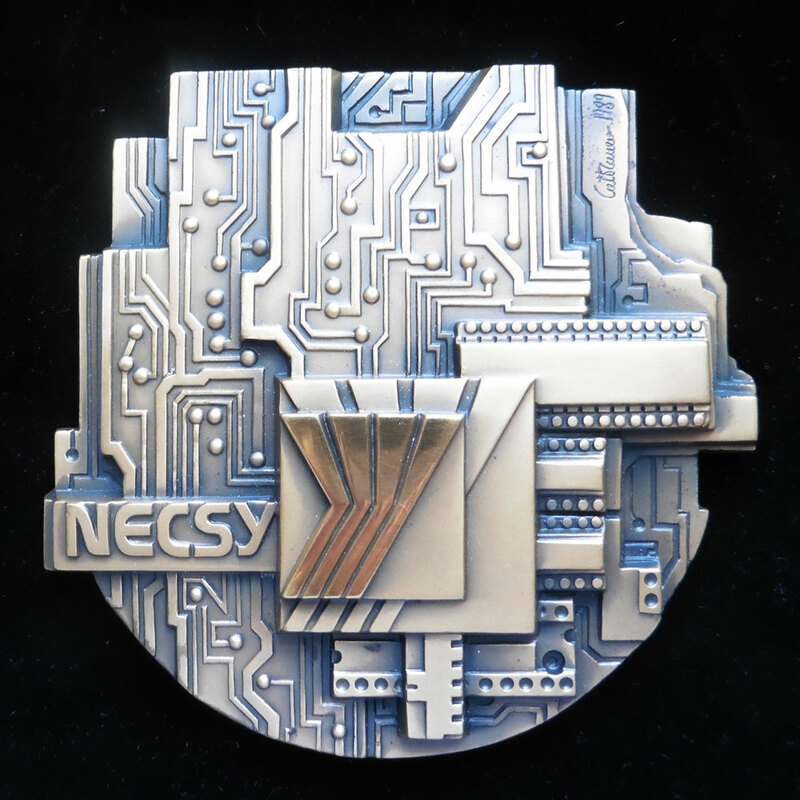 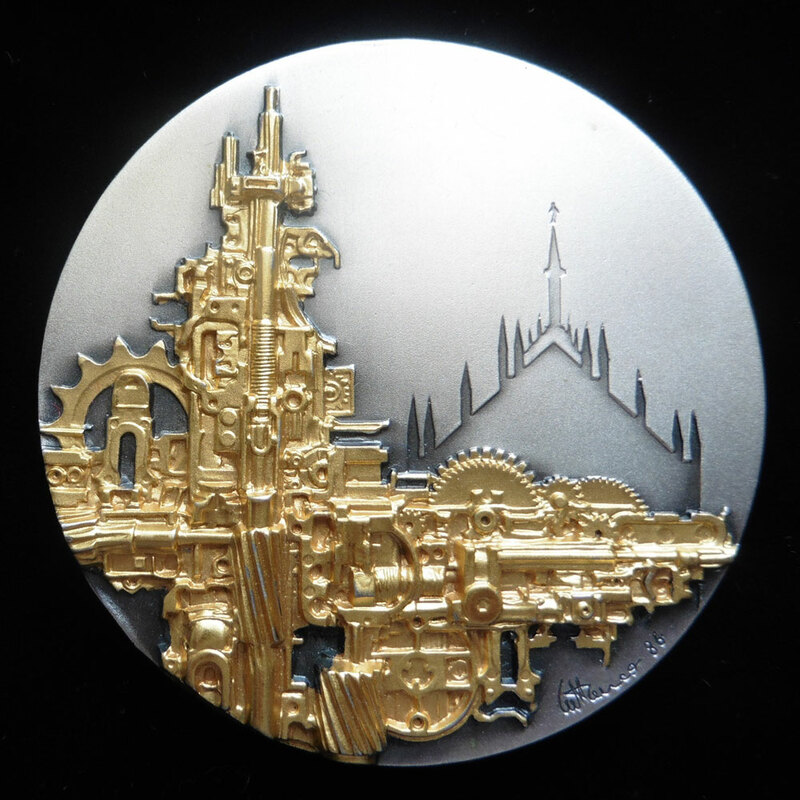 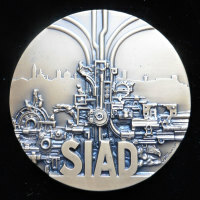 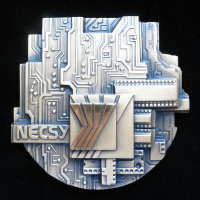 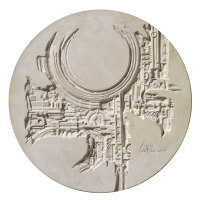 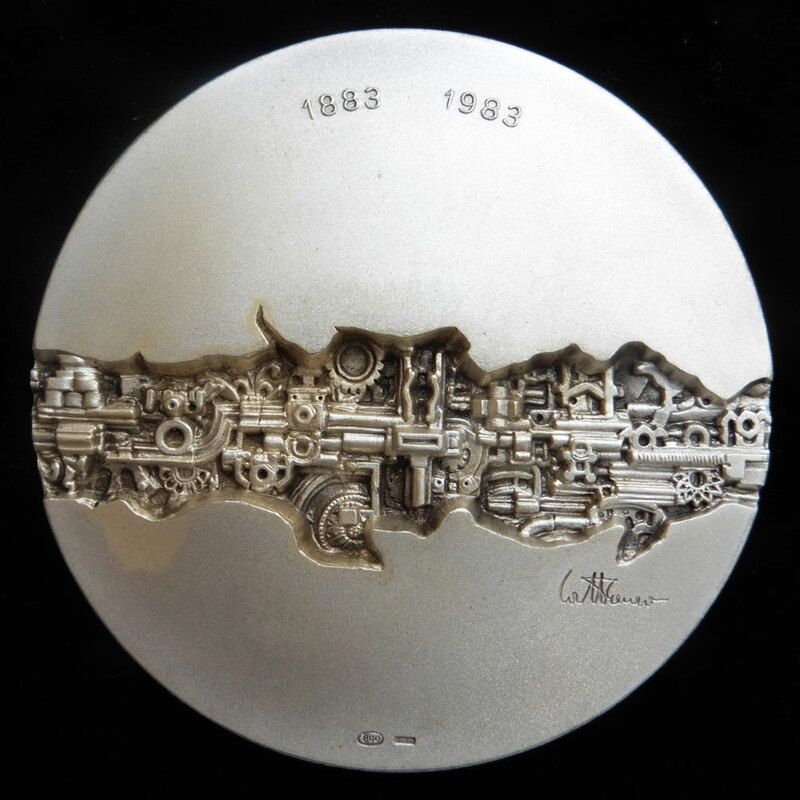 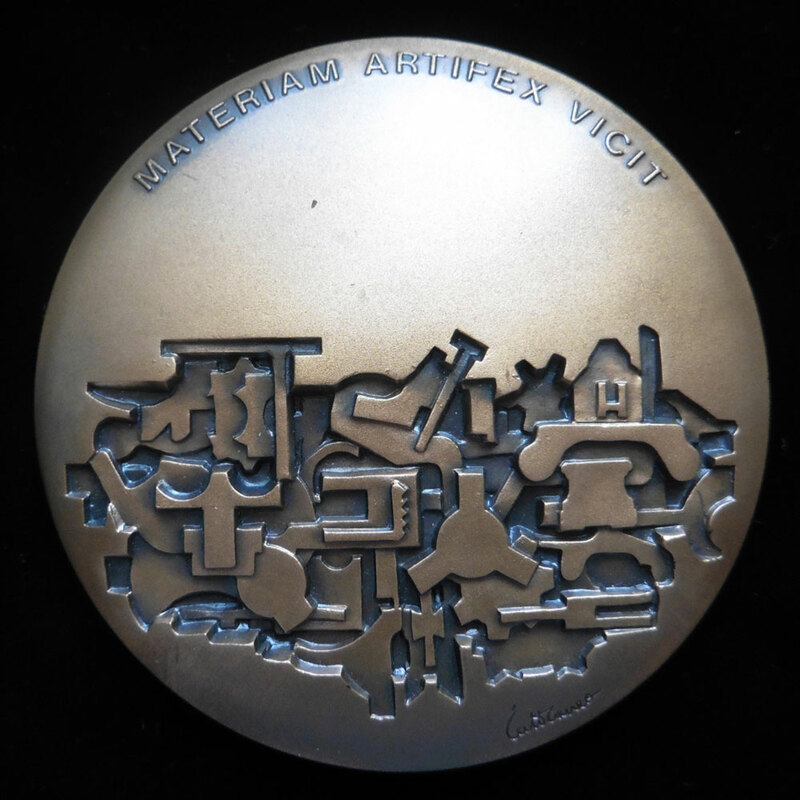 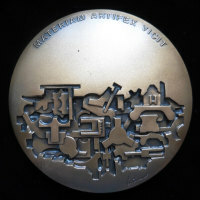 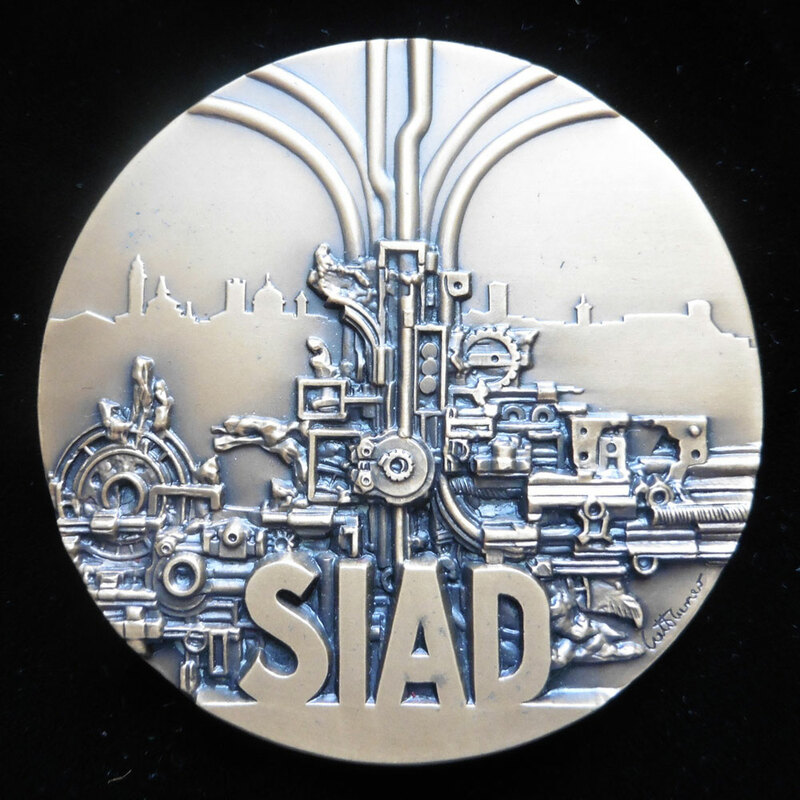 The need to draw on everyday life, the first step in Cattaneo’s creative process, became a factor in his medal design that encouraged him to channel – on a stylistic level – the communicative message always entrusted to this genre: mechanical and electronic elements were introduced as new aesthetic components to design the modelling.